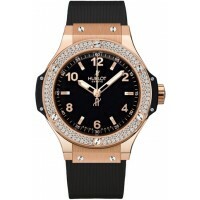 At the apex of excellence, Hublot watches can be found on the wrists of the royal and famous. 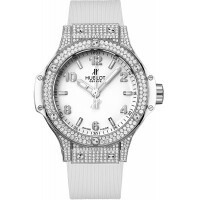 A luxury Swiss watch company founded in 1980 by Italian, Carlo Crocco, Hublot has mastered the fine art of being on the cutting edge of innovative watchmaking. 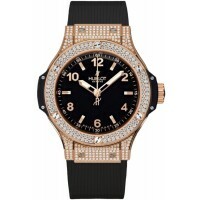 'The Art of Fusion' philosophy championed by Hublot is exuded through striking composition and unmatched precision. 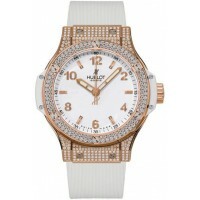 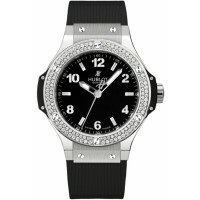 Hublot watches are carefully designed to include the most precious materials in a range of styles. 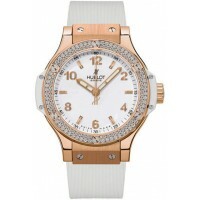 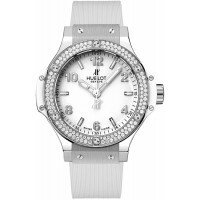 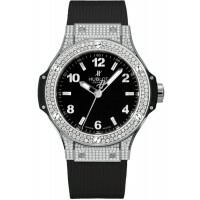 Find a large collection of discounted Hublot men's and women's watches available on Madinajewelry.com for the lowest sale price online! 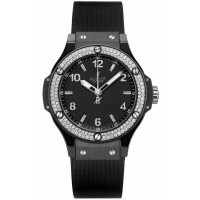 Hublot Big Bang 38MM 361CV1270RX1104 - Swiss Made, Black Dial, Black PVD Stainless Steel Bezel..
Hublot Big Bang 38MM 361PE2010RW1104 - Swiss Made, White Dial, Bezel Set with 126 Diamon..
Hublot Big Bang 38MM 361PX1280RX1704 - Swiss Made, Black Dial, Bezel Set with 126 Diamonds (0.87 Car..
Hublot Big Bang 38MM 361SE2010RW1704 - Swiss Made, White Dial, Bezel Set with 126 Diamonds (0.87 Car..
Hublot Big Bang 38MM 361SX1270RX1104 - Swiss Made, Black Dial, Bezel Set with 126 Diamonds (0.87 Car..
Hublot Big Bang 38MM 361SX1270RX1704 - Swiss Made , Black Dial, Bezel Set with 126 Diamonds (0..